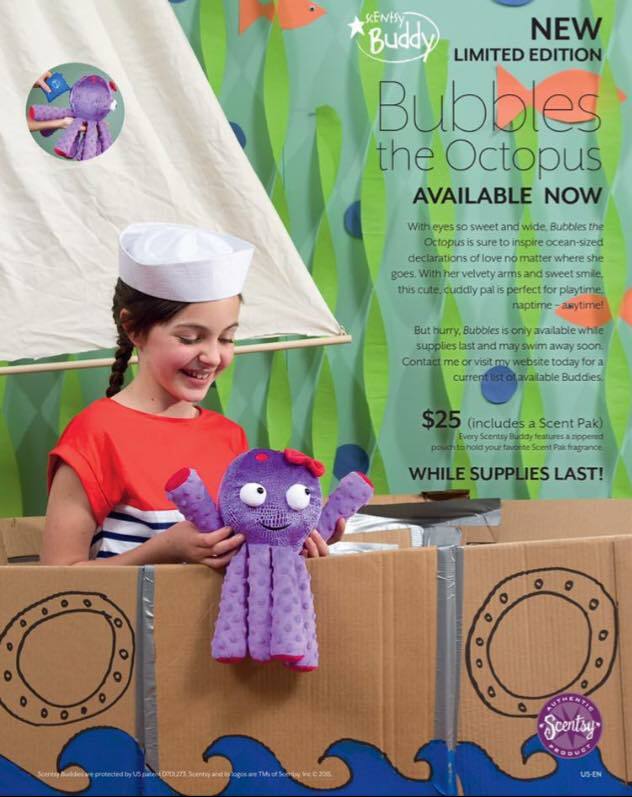 Bubbles the Octopus was such a big hit when it was introduced July 2, 2015 it sold out quickly! But don’t fret, Scentsy is always introducing new Scentsy Buddy’s and so if you’re looking for that perfect Scentsy Buddy for a little friend, or for yourself!, follow the link to browse and shop Scentsy Buddy products. Scentsy Buddy’s are the perfect gift for that little one that likes to take their play friend with them everywhere! Simply select the Scentsy fragrance of your choice and place it in your Scentsy Buddy and you’re off to the races! Since the original launch of the Scentsy Buddy products, Scentsy products for the younger members of your family have proven to be very successful and so the offering for our junior friends has been expanded to include a lot of really fun products! To shop all the latest Scentsy Kids products from the ultra-awesome Scentsy Diffusers designed with kids in mind to the fun backpack tagalongs – Scentsy Clips, simply follow the link and have fun! New Scentsy Buddy now available, but only while supplies last! Bubbles the Octopus Scentsy Buddy is super to inspire ocean-sized declarations of love no matter where she goes! 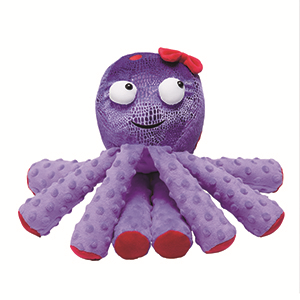 With her velvety arms and sweet smile, this cute cuddly Octopus is perfect for playtime, naptime, anytime. But hurry, Bubbles the Octopus is a limited edition, and only available while supplies last; she may swim away soon. Contact me or visit my Scentsy website today for a current list of available Buddies. Bubbles the Octopus has a hidden zipper pouch, so you can make her smell just as you like with your choice of Scentsy Scent Pak.